This is our most spacious suite. 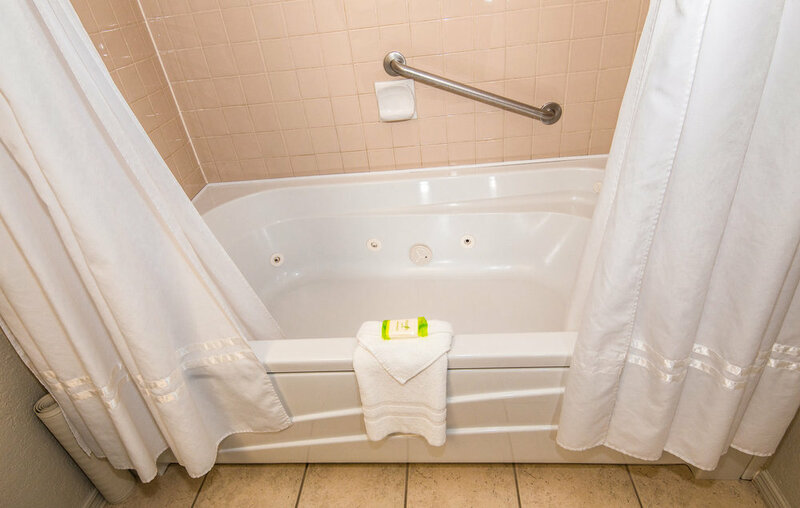 Featuring a king-size bed in a private bedroom and a two-person jetted tub in lieu of our standard bath tub, this room is perfect for a romantic getaway or a just a relaxing family weekend away from home. The living room includes a double sofa bed, and the kitchenette is complete with a mini fridge, sink, microwave, and dining table for four.